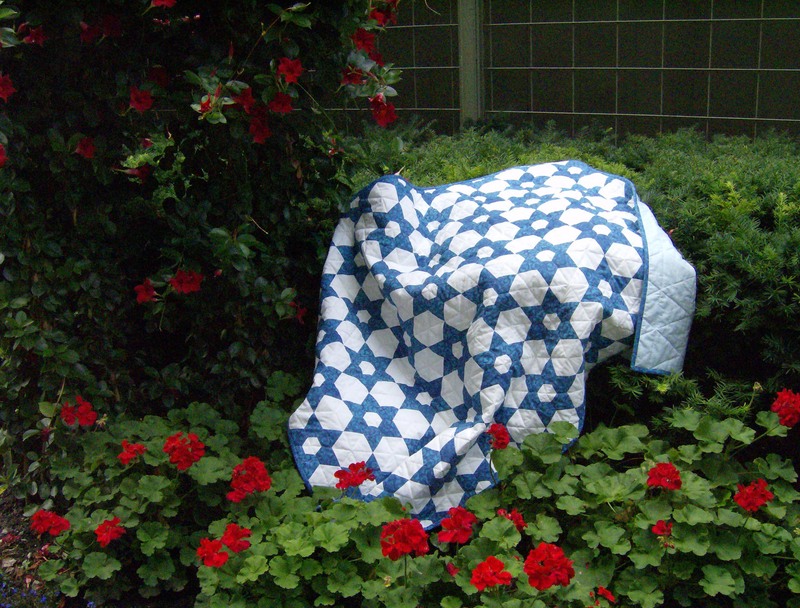 You’ve read about The Case of the Secret Garden mystery quilt before on my blog. Clue 2 was revealed yesterday. Clue 1 was released last week. I’m going to be printing fabrics tonight and tomorrow as I follow Clue 2. Are you intrigued? Want to work on solving the mystery too? This is a quick giveaway, open to all, of a gift certificate for the Inklingo New York Wheel collection. The downloadable collection, some fabric and the clues are all you need to play along and solve the mystery. As the collection and the clues are downloadable, you would have them with lots of time to be ready for next week’s clue. The giveaway is open to enter until 11:59 p.m. EST on Wednesday, February 13, 2013 and the winner will be announced shortly thereafter. As the clues are downloadable, you could be starting to work on solving the mystery now as you wait to see who the winner of the gift certificate for the collection is! In the meantime, you could download the free Inklingo collection which contains Chapter 1 of the Inklingo handbook and has all the information on printing with Inklingo, clues 1 and 2 and read Linda’s blog post on testing inkjet ink on fabric. 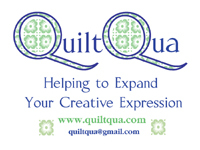 I am in the middle of my first two quilts with Inklingo, and I love it!!!!! It’s genius! You and Linda are making it more and more difficult to resist, even though I just cannot begin anything right now. To good of an offer to pass up! I prewash most of my fabrics–would I be able to run them through the computer if they were pressed neatly?? I am intrigued with the patterns you have been showing on your blog. I was blown away by Linda with her diamonds from the Dear Jane Stickle quilt and think she is a fabulous teacher. Hi Baxter!!! When I miss my Rex cat, I can always get online to see other quilter’s best companions and it helps. My husband doesn’t like cats and barely put up with Rex—so I probably will not get another cat. Thanks all the neat projects you show us. I have learned alot just watching your blog. Cute post, Cathi. Good luck to all who enter… a FREE Inklingo Collection! WOWZER, that’s great! I have printed out the first 2 clues and have been reviewing the handbook. Trying to decide if this is a good way to do my first Inklingo quilt. 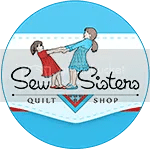 I just finished Bonnie Hunters mystery quilt so I am ready to start something new. Maybe winning the gift certificate will be the push I need to order the New York Wheel collection! Thanks for all you do. I have been following along on the Yahoo group, trying to get the push and motivation to do the mystery! You got me hooked on Inklingo quite some time ago and I cannot imagine using templates anymore when I can just print the patterns. I have been trying to decide whether to do this mystery as this set is one I do not already own. You can enter me in the drawing, either way I will probably end up with the set 🙂 Thank you. I am very curious about inklingo, and I love mysteries…. hmmmm…I think I’ll go peruse my stash and see what I have hanging around that fits the requirements…. I love the concept but did not have the New York Beauties collection, so I did not start this mystery! Linda is the best! Please enter me? Thanks! I have too many other projects in progress right now, but as soon as I finish at least two, this mystery is on my list! You just goota love Inklingo! Thanks for the chance to win the shape collection! Don’t tell Monkey but I think Baxter looks even better in a deerstalker than he does, and that’s saying something! Thanks! I would appreciate winning this beautiful Inklingo collection. May I be included in the giveaway too? Love your kitty and comic strips. Last minute commenter here. Too busy sewing today to remember! Love Baxter’s new Tabby Abbey ‘toons! I already have the New York Wheel collection. Just need to select my fabrics and get started. Thanks for the opportunity, though.